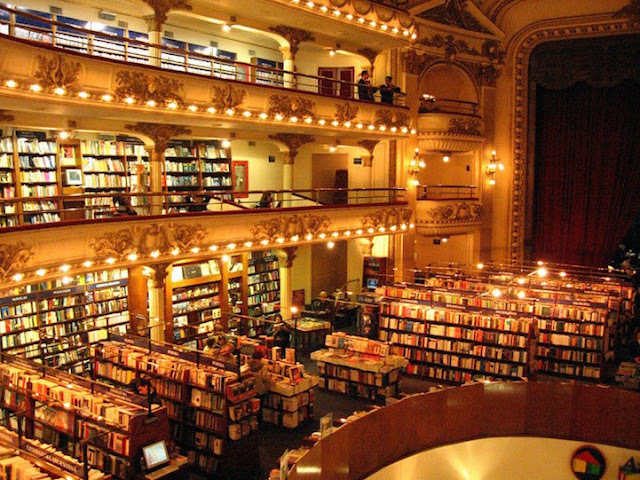 Stephen Bodio's Querencia: Now THAT is a bookstore! 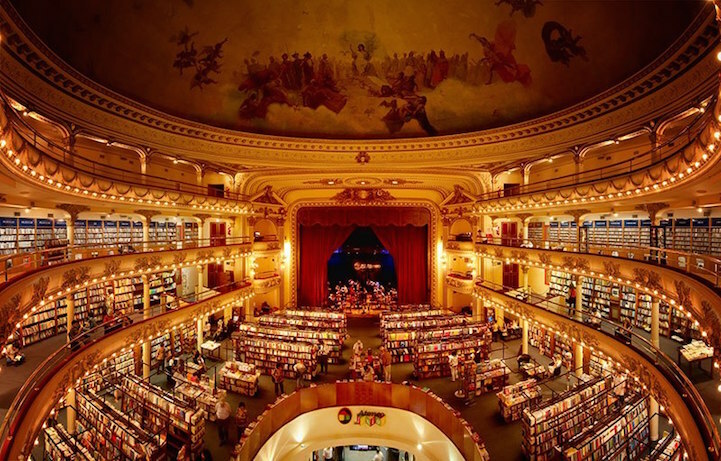 Now THAT is a bookstore! The El Atenio in Buenos Aires. HT Micah Mattix at Prufrock. 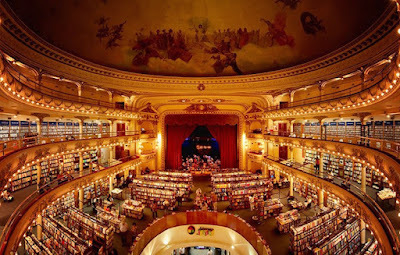 BOOKSTORE????? This is a photo of the inside of my HOUSE! Just kidding--but I should NEVER be allowed in such a place, with my addiction.........L.B.